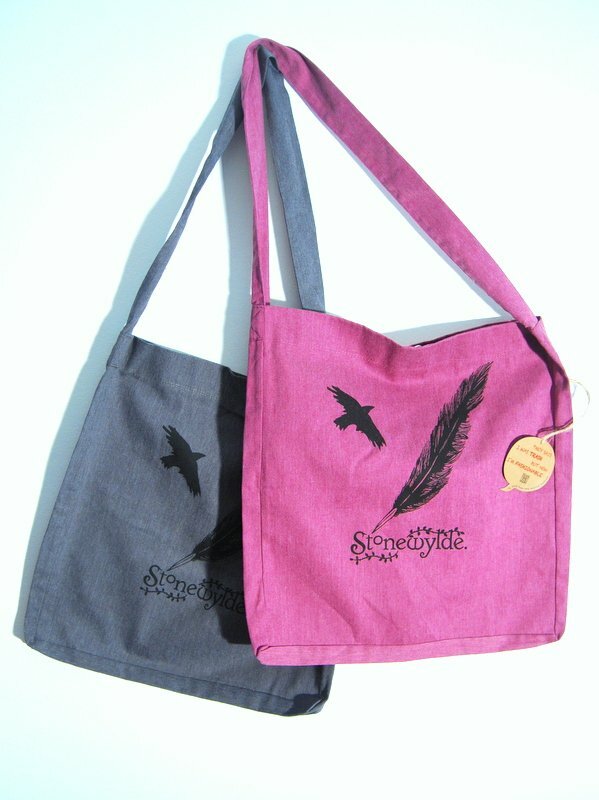 Special offer: Buy 2 and get an extra 1 FREE! 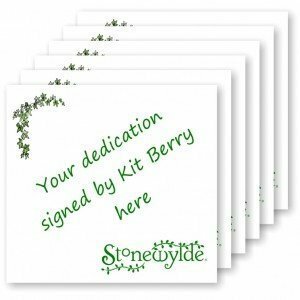 At last – the pen all the Stonewylde fans have been asking for! It’s taken us a while to source the right pen, and we hope you’ll love this one. It’s a simple, retractable ball-point pen, beautifully crafted in grained wood from sustainable forests, It writes with black ink and feels smooth and comfortable in your hand. 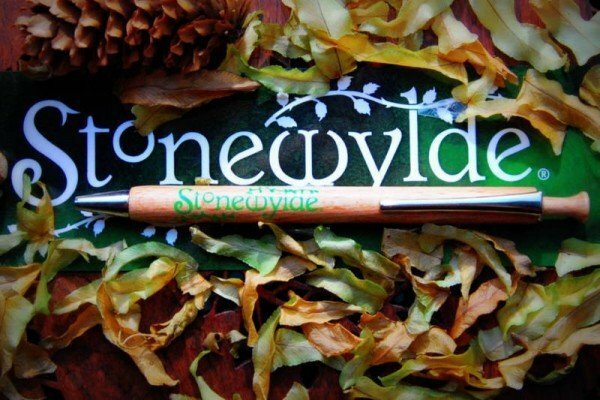 The Stonewylde logo is emblazoned in green on the barrel. 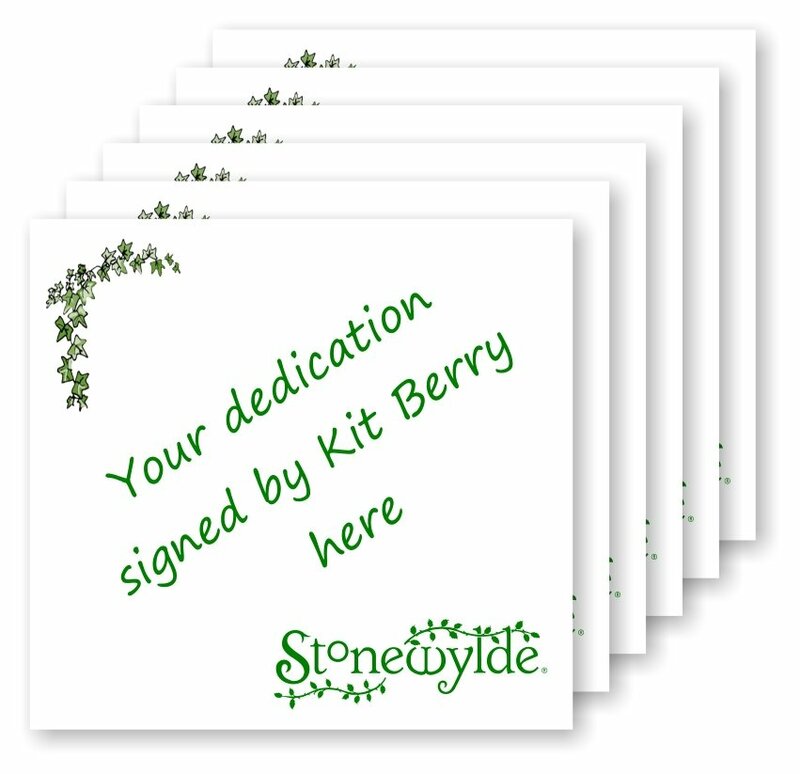 The Stonewylde pen makes a perfect stocking-filler for Yule, and if you buy two, we’ll send you an extra one for free!!! So that’s three of these high-quality pens for only £5, with no extra for postage and packing. Treat yourself now while the special offer lasts. 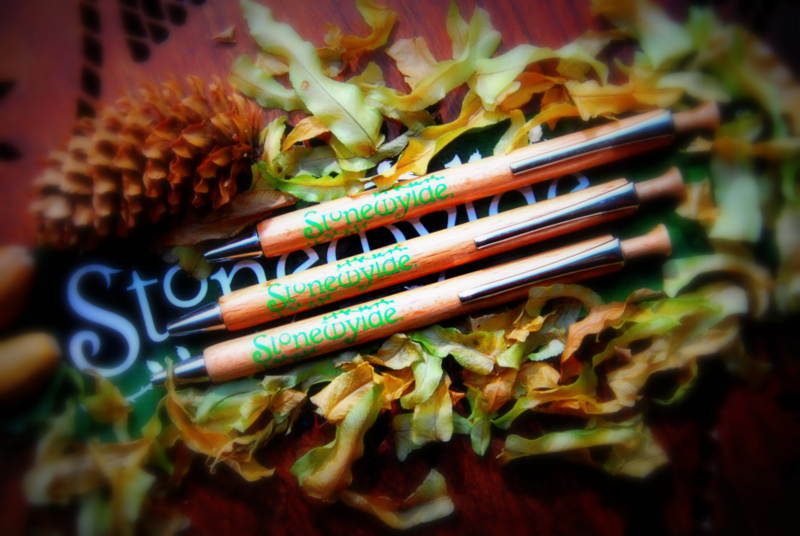 Lovely wooden pen with great Stonewylde branding. 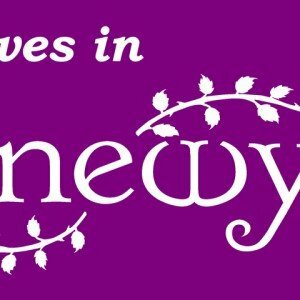 Fabulous value and super fast delivery! 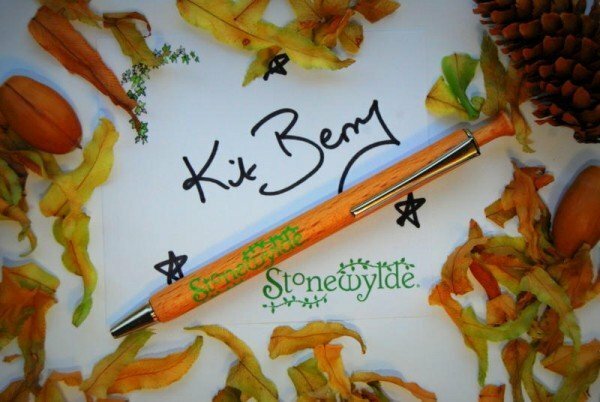 I keep this pen for ‘best’ – it writes beautifully and of course is adorned with the Stonewylde logo we love so well! It was delivered efficiently and came wrapped attractively too.